Personal data is any information relating to an identified or identifiable living person. Acuma processes personal data for numerous purposes, and the means of collection, lawful basis of processing, use, disclosure, and retention periods for each purpose may differ. Acuma Solutions Ltd is part of the Saksoft Group (jointly and severally referred to as ‘we’, ‘us’ and ‘our’). We are regulated under the data protection and privacy laws which apply across the European Union (including those in the United Kingdom), and we are responsible as a ‘Controller’ of that personal information for the purposes of those laws. We are registered with the ICO and our registration number is Z5832135. The personal information that we collect and use. Name and Contact Data: We collect your first and last name, email address, postal address, phone number, job title or role, company name, and / or other similar contact data. Credentials: We may collect usernames, password hints and/or other similar security information for the authentication and access to accounts or services. Device and Usage Data: We collect data about how you and your devices interact with our website and the products (by amongst other things cookies and page tagging techniques), which might include, amongst other things, your IP address and /or details of which version of web browsers you use. Comments and Feedback: We retain information when you make enquiries or provide comments or feedback on our services. We are continually looking for ways to help our customers and improve our business and services. Where agreed with our customers, we may use information that we receive in the course of providing professional services for other lawful purposes, including analysis to better understand a particular issue, industry or sector, provide insights back to our customers, to improve our business, service delivery and offerings and to develop new technologies and offerings. In the event that the information we receive in the course of providing professional services contains personal data, we will de-identify the data prior to using the information for these purposes. Customer Personal Data: In the course of providing professional services to you, you may request that we process the personal data of your employees and your customers. From time to time, we may also use your information to contact you for market research purposes, which may done through email, phone or fax. This information may help us to customise our website according to your interests. Acuma and /or Saksoft may process personal data about contacts (existing, former and potential Acuma customers and/or individuals associated with them) using a customer relationship management system (Salesforce CRM). The collection of personal data about contacts and the addition of that personal data to the CRM is initiated by an Acuma and/or Saksoft user and will include name, company name, contact title, phone number, email and any other business contact details. In addition, CRM may collect data from an Acuma email (sender name, recipient name, date and time) and calendar (organiser name, participant name, date and time of event) systems concerning interactions between Acuma and Saksoft users and contacts or third parties. In addition, the CRM uses an algorithm to evaluate the strength of interactions between an Acuma user and a contact. This ranking is primarily based on interaction frequency, duration and response time. Acuma and Saksoft do not sell or otherwise release personal data contained in Salesforce CRM to third parties for the purpose of allowing them to market their products and services without consent from individuals to do so. Personal data will be retained on the Acuma Salesforce CRM for as long as it is necessary for the purposes set out above (e.g. for as long as we have, or need to keep a record of, a relationship with a business contact). Employees should refer to the Company Handbook for information on why and how personal data is collected and processed. We collect only the personal data necessary for agreed purposes and contractual agreements and we ask our customers to only share personal data where it is strictly needed for those purposes. Generally, we collect personal data from our customers or from third parties acting on the instructions of the relevant customer. We provide a diverse range of professional services and some of these require us to process personal data in order to provide advice and deliverables for all the services that we provide. We have security measures in place to protect our and our customers’ information (including personal data), which involve detecting, investigating and resolving security threats. We monitor the services provided to customers for quality purposes, which may involve processing personal our services and manage risks in relation to customer engagements. We collect and hold data stored on the relevant customer file and we have policies and procedures in place to monitor the quality of personal data as part of our customer engagement and acceptance processes. As part of this we may undertake searches using publicly available sources (such as internet searches and credit checks) to check that there are no issues that would prevent us from working with a particular customer. Unless we are asked not to, we use customer business contact details to provide information that we think will be of interest about us and our services. For example, industry updates and insights, other services that may be relevant and invites to events. We collect and process personal data about our suppliers (including subcontractors and individuals associated with our suppliers and subcontractors) in order to manage the relationship, contract, to receive services from our suppliers and, where relevant, to provide professional services to our customers. Where a supplier is helping us to deliver professional services to our customers, we process personal data about the individuals involved in providing the services in order to administer and manage our relationship with the supplier and the relevant individuals and to provide such services to our customers. We have processes and procedures in place to monitor the quality of our services and manage the risks in relation to our suppliers. We collect and hold personal data as part of our supplier management process and we monitor the services that they provide for quality purposes. This may involve processing personal data. For additional information, please refer to the Supplier Privacy Notice which provides detail on how Supplier Data is controlled. CCTV operates on the perimeter and main reception of the building complex and images captured are securely stored and only accessed on a need to know by the building proprietor regarding an incident. Signs are clearly visible that CCTV is in operation. All visitors are required to sign into the visitors’ book in the buildings main reception area and this information is securely stored by the proprietor and accessible by authorised personnel only. We receive personal data, such as name, title, company address, email address, and telephone and fax numbers, from website visitors; for example when an individual submits a contact request. Visitors are also able to send an email to us through the website. Their messages will contain the company name, contact details and email address, as well as any additional information the user may wish to include in the message. Our website may contain links to a third party website. We are not responsible for the privacy practices or the content of such third party websites. Acuma Solutions is part of the Saksoft Group and will share personal data with relevant parts of the business within the Parent Company for business purposes only. This is restricted to authorised users in a secure and controlled environment. We further share your personal data with your contractual consent to third party suppliers who provide product licenses and support to our customers. This is to provide products and services that you have requested. Some of these third party products suppliers may be based outside of the European Economic Area. We may share personal data with vendors or agents working on our behalf whom we have hired to provide us with customer service support or assistance to protect and secure our systems and services. In all cases such companies are required to abide by our privacy and security requirements and are prohibited from using personal data received from use for any other reason. We will share personal information with law enforcement or other authorities if required by applicable law, or in order to respond to a valid legal process. ensures the ongoing confidentiality, integrity, availability and resilience of our processing systems. 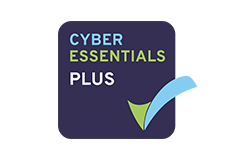 We also have appropriate security measures in place to prevent personal information from being accidentally lost, or used or accessed in an unauthorised way. Whilst data transmission over the internet is inherently insecure (such that we cannot guarantee the security of data transmitted by this means), all electronic communications from us shall be encrypt. We will only share personal data with others when we are legally permitted to do or if this is contractual. When we share data with others, we put contractual arrangements and security mechanisms in place to protect the data and to comply with our data protection, confidentiality and security standards. We are part of a global company and in common with other professional service providers, we use third parties located in other countries to help us run our business. As a result, personal data may be transferred outside the countries where we and our customers are located. This includes to countries outside the European Union (“EU”) and to countries that do not have laws that provide specific protection for personal data. We have taken steps to ensure all personal data is provided with adequate protection and that all transfers of personal data outside the EU are done lawfully. Where we transfer personal data outside of the EU to a country not determined by the European Commission as providing an adequate level of protection for personal data, the transfers will be under an agreement which covers the EU requirements for the transfer of personal data outside the EU, such as the European Commission approved standard contractual clauses. Business areas within the Parent Company We may share personal data with company members where necessary for administrative purposes and to provide professional services to our customers (e.g. when providing services involving consultancy and invoicing from company members in different locations). Our business contacts are made visible and accessible to authorised individuals and used by Acuma and Saksoft users to learn more about a contact, customer or opportunity they have an interest in (please refer to the Business contacts section of this policy). Third party organisations that provide applications/ functionality, data processing or IT services to us We use third parties to support us in providing our services and to help provide, run and manage our internal IT systems. For example, providers of information technology, cloud based software as a service providers, identity management, website hosting and management, data analysis, data back-up, security and storage services. The servers powering and facilitating that cloud infrastructure are located in secure data centres around the world, and personal data may be stored in any one of them. Law enforcement or other government and regulatory agencies or to other third parties as required by, and in accordance with, applicable law or regulationOccasionally, we may receive requests from third parties with authority to obtain disclosure of personal data, such as to check that we are complying with applicable law and regulation, to investigate an alleged crime, to establish, exercise or defend legal rights. We will only fulfil requests for personal data where we are permitted to do so in accordance with applicable law or regulation. Please contact the Data Protection Officer if you have any questions regarding this policy or the regarding the information that we hold about you. We may charge for a request for access in accordance with applicable law. We will aim to respond to any requests for information promptly, and in any event within the legally required time limits (currently 40 days). To update personal data submitted to us, you may email us at data_protectionoffice@acuma.co.uk or, where appropriate, contact us via the relevant website contact page. We hope that we can resolve any query or concern about our use of information, however if you do feel that you need to complain please email data_protectionoffice@acuma.co.uk and we will respond to your request.